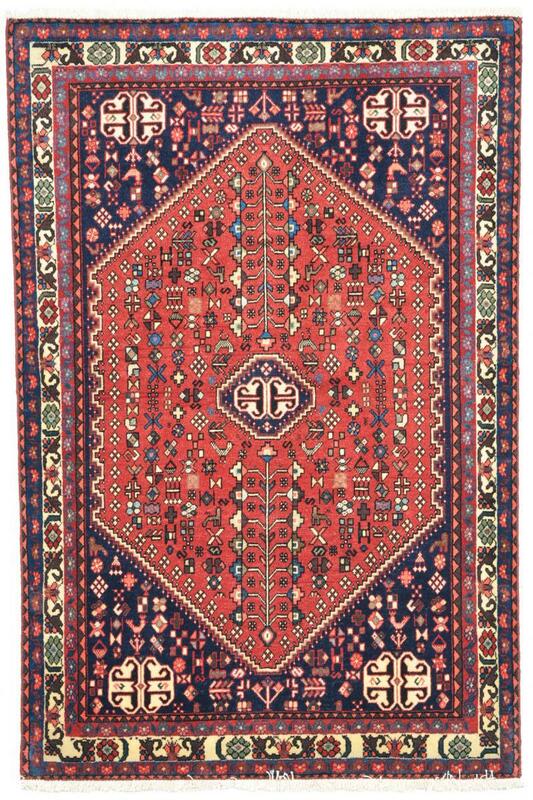 Hand-knotted Persian carpets from the Iranian provenance Abadeh, a region between Shiraz (Shiras) and Isfahan, are characterised by their robustness, which makes them perfect companions in everyday life. While these carpets cannot keep up with the finer carpets e.g. from Isfahan or Nain in their knot density of 140,000-320,000 knots per m2, they are nevertheless of very good quality. 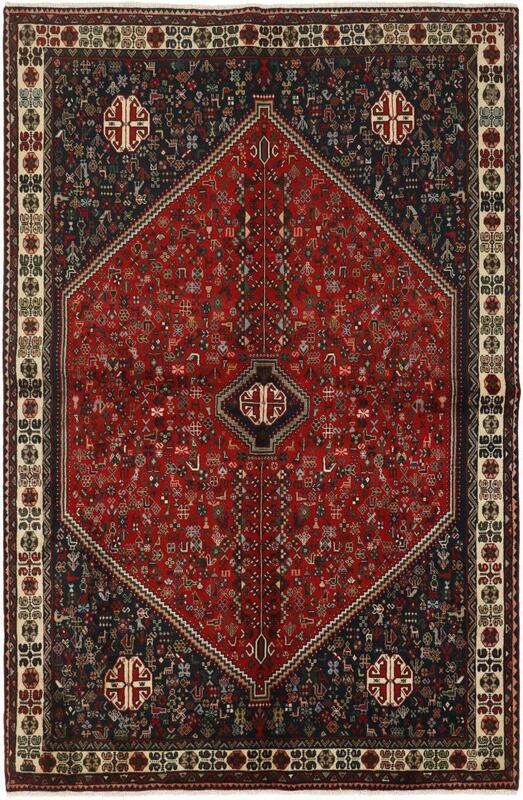 Mostly Abadeh carpets are knotted in shades of red and have a rosette in the centre with blue shades. They are inspired by carpets of the Ghashgai nomads who passed through Abadeh. Following their example, natural motifs and ornaments, such as those of animals and plants, are often found on the carpets. When you buy an Abadeh, you are going to enjoy your carpet for a long time. Due to its durability it is suitable for highly frequented areas in the house. As a runner in the entrance area, it can be used without fear of quick deterioration. Due to their value for money, these oriental carpets are for all those who buy a Persian carpet for the first time and who may not want to make full use of their budget. These rugs have been provided from an assortment of over 2,800 nomad and village rugs by Nain Trading from Hamburg. Hamburg, Germany is still the most important hub for the trade of oriental rugs in the Western World with Nain Trading offering one of the largest assortments of handmade oriental carpets worldwide. Location - where do you find the city of Abadeh? The city is centrally located in Iran, in the province of Fars. The next bigger city is Isfahan.